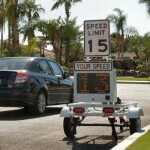 The RU2 Fast-650 Speed Radar Trailer was designed for small residential street and corporate campus type applications where speeding is a problem. 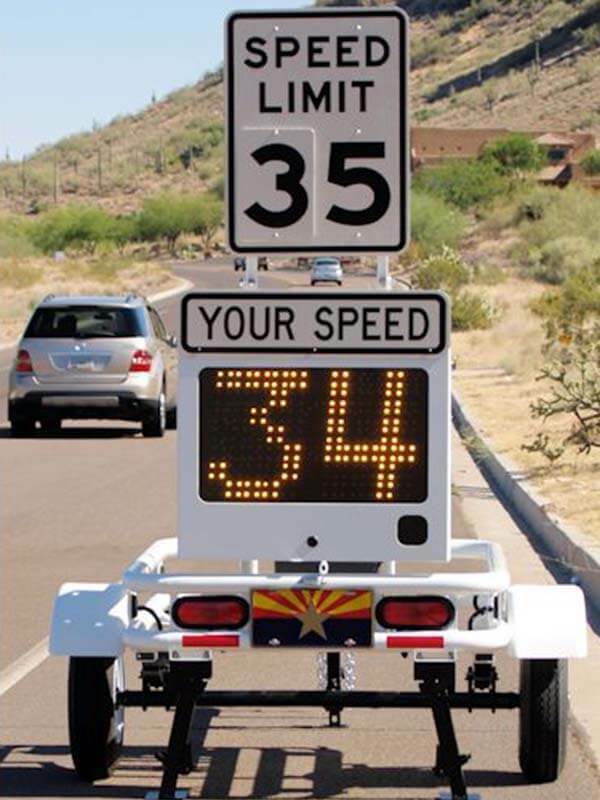 While this radar speed sign may be light in weight, it is built it to the same tough industrial standards as its bigger brothers. Easily towed with a passenger vehicle or even a golf cart, the trailer can be repositioned throughout a community’s streets for maximum effectiveness. 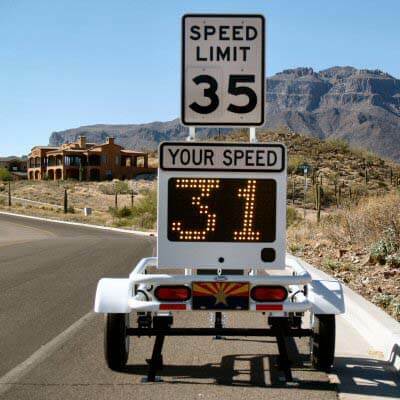 This trailer mounted speed detector radar is accurate within one miles per hour, and easily read at a glance. 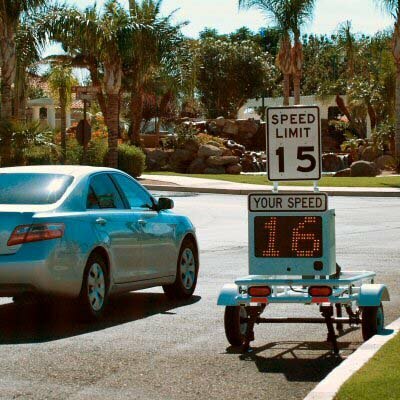 The 12” high, full matrix LED characters can be seen from 750 feet to alert the driver of their speed. 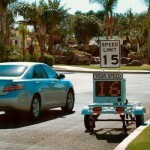 And optional violator alerts make your point perfectly clear to all. Technical specifications are subject to change without notice.